I designed these guys back in 2012 as a rework of a much more primitive version I first began featuring on my business cards in 2008 shortly after beginning work as the cartoonist contracting at Luna Park. 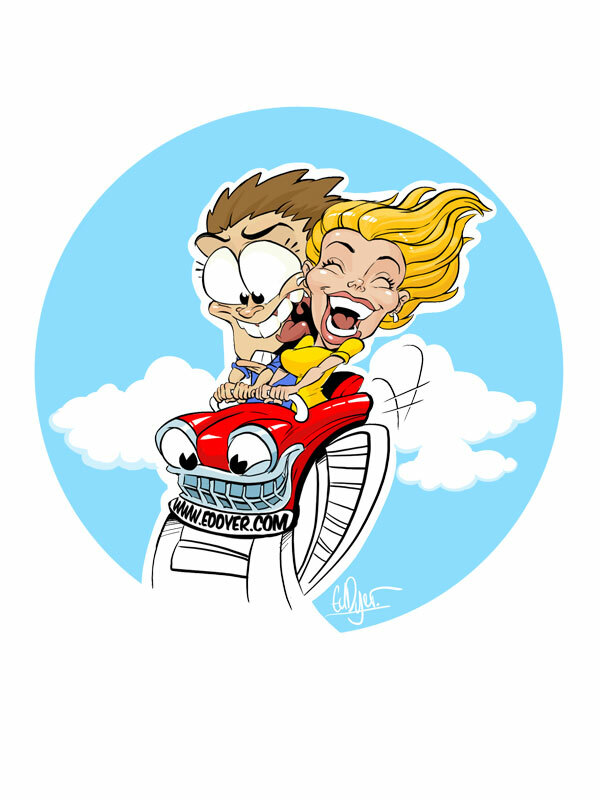 The Roller Coaster is based off the “Wild Mouse” a ride which dates back to 1963, the two riders are based off the Comedy and Tragedy masks used as an icon to depict the theatre, also the reactions I often get to my caricature work, the guy in the blue shirt is based on Luna Park’s giant fibreglass harlequin face for a front door and the girl is loosely based on an ex. The design has since been given a digital colouring and inking facelift but the original remains largely unchanged .